Sprawled across seven hills with houses nestling on the hillsides, Shimla city encompasses just 25 km, but seems much larger. With its green pastures, meadows, dense forests of pine and cedar and snow-capped mountains, Shimla is reminiscent of villages in the north of England. The city has a unique urban forest with trees of the temperate and alpine species existing in a subtropical zone. 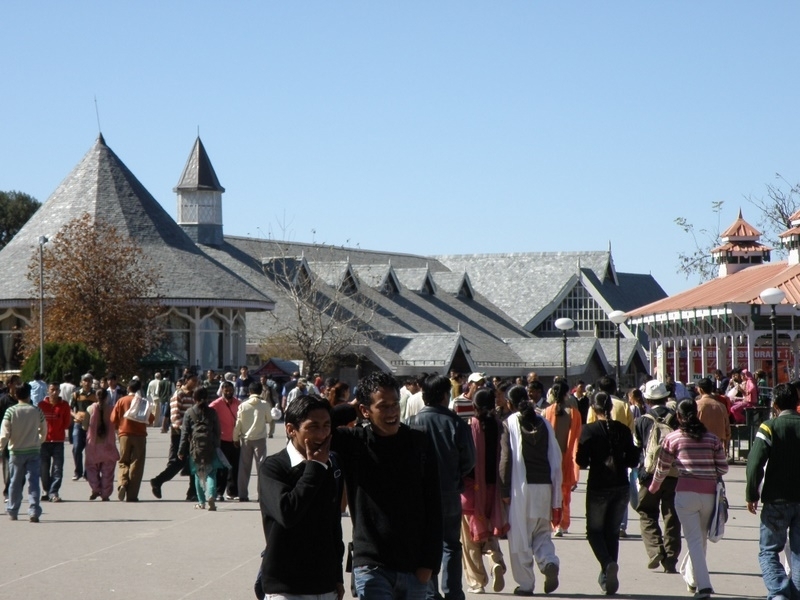 What’s more, Shimla’s famous Mall Road offers one of the longest stretches of pedestrian shopping in the world. 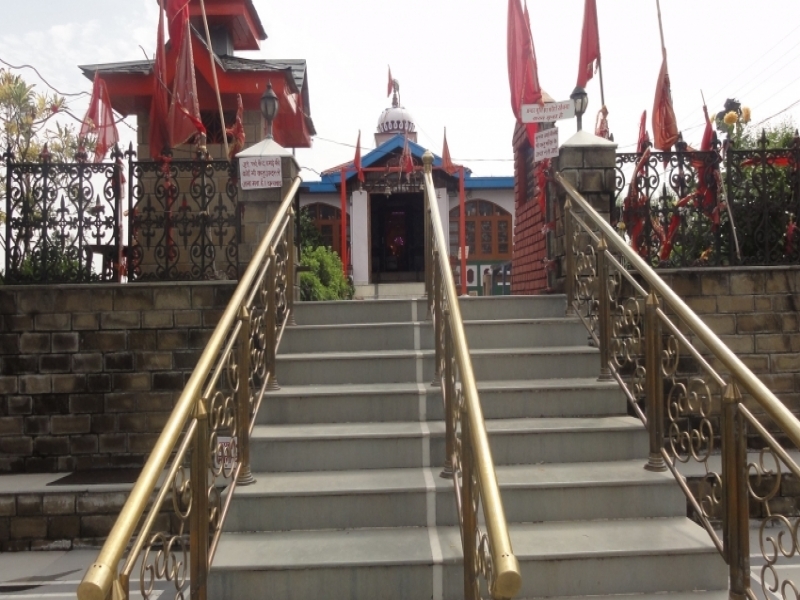 As its neighbours, Shimla has Uttaranachal in the south-east, Mandi and Kullu in the north, Kinnaur in the east and Sirmaur district in the south. 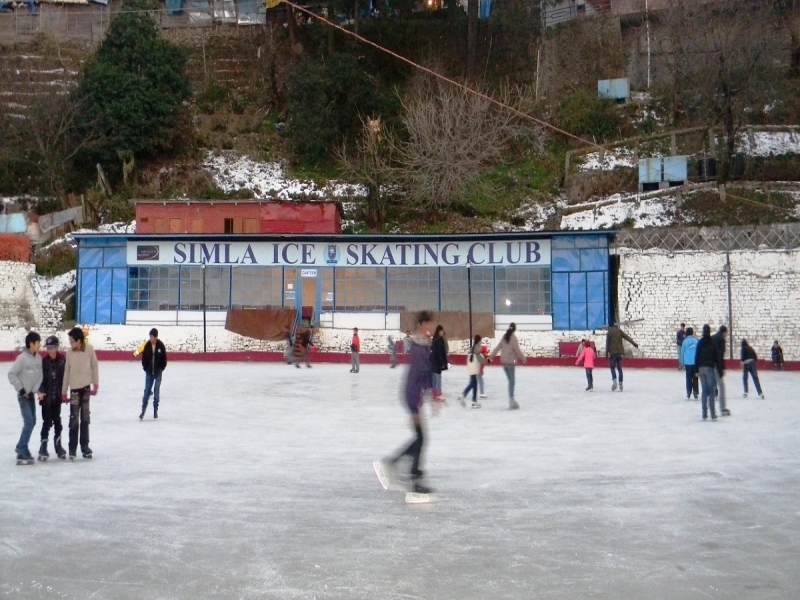 The inhabitants of Shimla rely on agriculture and cattle rearing for their livelihood. The town is a delight with its colonial homes and buildings. The streets with Anglo Saxon names are lit by typically British iron lamp posts. 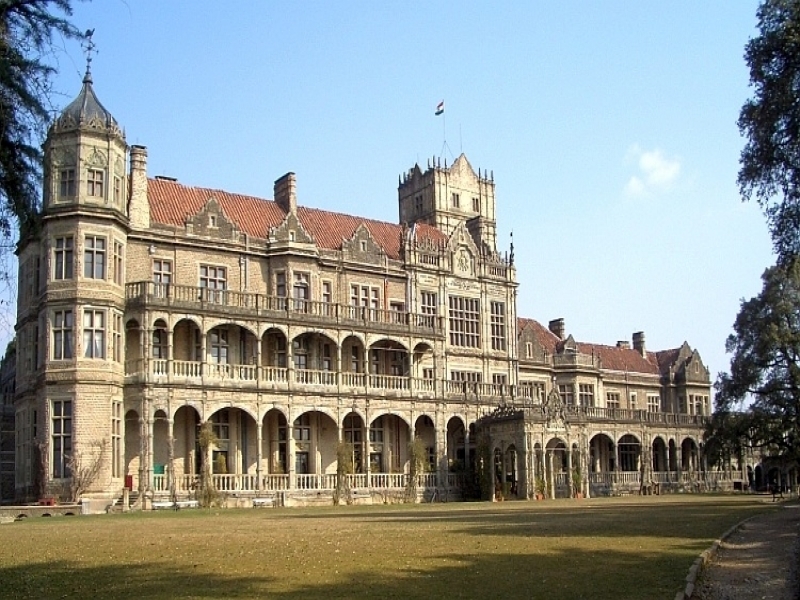 You will also see examples of other architectural styles in Shimla including Gothic, Neo –Gothic, Mock-Tudor, Medieval and Saracenic. The charming ‘toy train’ that starts from Kalka, 60 miles away, takes you through a 100 tunnels cut through the scenic mountains. The railway has acquired a UNESCO World Heritage ranking. Other legacies of the British Raj are the cricket ground at Chail, 45 km away, which is the highest in the world at 8000 feet and the picturesque golf course, Naldhera, on the outskirts of the city. Lord Curzon was so enamoured by the scenery of this place that he named his third daughter after it. The southern hill slopes below the bustling Mall, are one of the most densely populated in the world. Rudyard Kipling describes them in his novel ‘Kim’: "A man who knows his way there can defy all the police of India\'s summer capital. So cunningly does veranda communicate with veranda, alley way with alley way, and bolt hole with bolt hole." If it weren’t for the British in India, Shimla wouldn’t exist. The British rescued this region from the clutches of the fierce Gurkhas who had invaded it as well as other hill states. When the hill men appealed to the British Raj for help, the hilltop battle of Malaon was fought under the leadership of Major General Sir David Ochterlony in 1815 and the Gurkhas were defeated. Several hill chieftains joined forces with the British and consequently won protection for their restored lands. 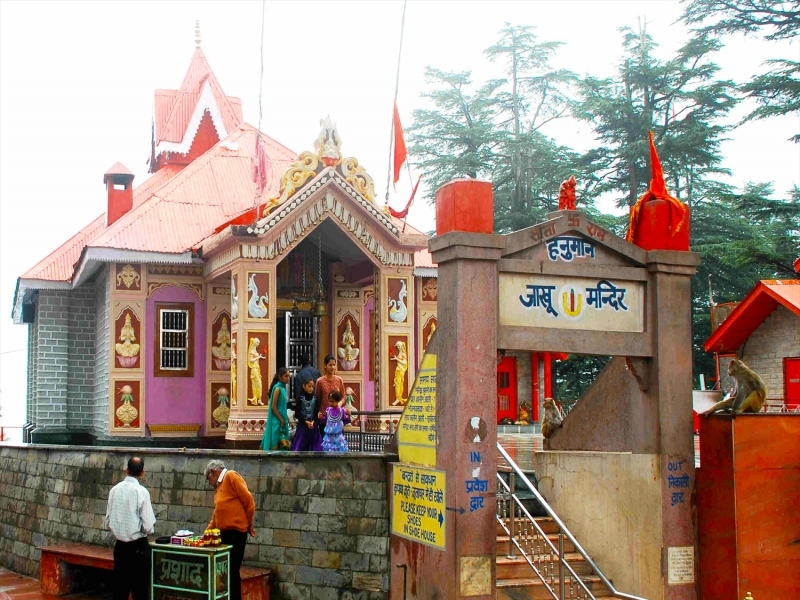 In 1819, British soldiers came upon the Temple of Shymala (a name for Goddess Kali) surrounded by dense forest and named the area Shymala. Enchanted by its beauty and climate, the British began to build their Victorian-style summer homes here. The first to do so was Lieutenant Ross in 1819, who built a wood cottage. Then in 1822, his successor Lieutenant Charles Pratt Kennedy followed his example with the Victorian-style Kennedy House. In 1864, the British declared the city as the \'Summer Capital of the British Empire in India\' and thus was born a new kind of holiday destination: the hill station. The government spent most of its time in Shimla, its home away from home, returning to the plains only in the winter months. 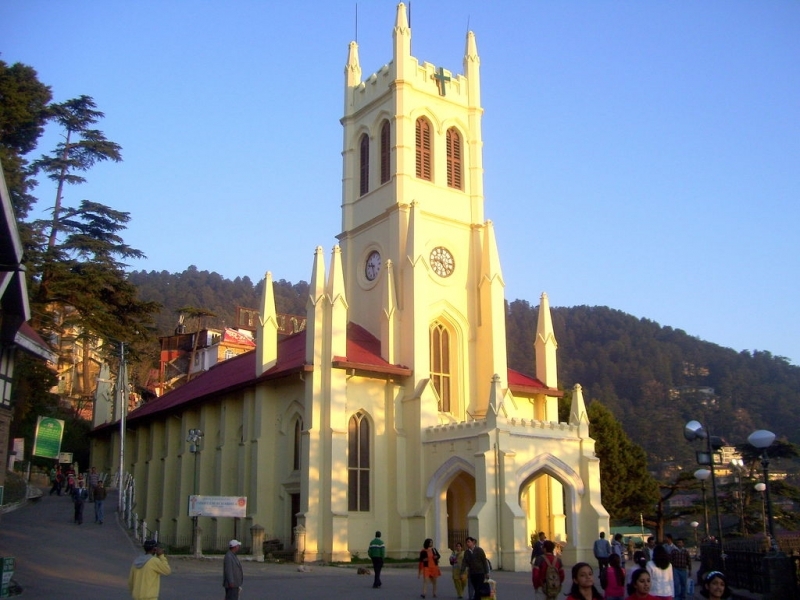 Shimla remained the capital of India until Independence. After Independence in 1947, the government of Punjab declared the city as its capital. 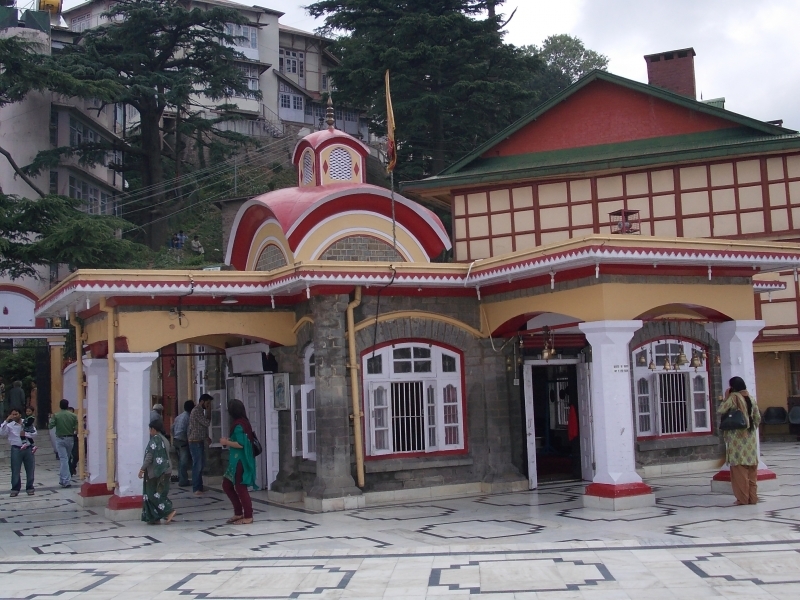 With the introduction of the \'toy train\' railway between Kalka and Shimla in 1903, Shimla developed rapidly. You can find some of the finest colonial architecture here and of course the famous Mall, created in the style of the traditional English country marketplace. Chances are that the Mall is one of the longest marketplaces designed for pedestrians in the world. According to a report from 1836, European goods as well as fine English horses were available in Shimla. Today Shimla is the state capital of Himachal Pradesh. Popular traditional dances in Shimla include the Mala, with dancers energised by a rice brew, the Rakshasa, Dalshone, Nagas Kayang and the Shuna Kayang which chronicles the lifestyle of the villagers. The martial art form of Thoda is exclusive to Himachal Pradesh and can also be witnessed in Shimla. The Thoda weapon is the wooden bow and arrow and the target is the opponent’s leg below the knee. Sathoi and Pashi, the two sides that participate are said to have descended from the Kauravas and Pandavas of Mahabharata fame. As for the music of this region, it is basically instrumental rather than vocal. Some of the instruments used are the ghungroo, flute, ektara, chimta and the ghariyal. If you’re in Shimla in June, don’t miss the ‘Mushaira’ – An event which celebrates Urdu poetry. Today the urban cultural scene in Shimla revolves around the beautifully restored heritage Gaiety Theatre. An excellent example of Neo-Gothic architecture, the theatre regularly holds English plays and musical extravaganzas. Many Bollywood stars have performed here. The embroidery of the region is worth seeking out in items of clothing, as is its expertise with crafting metal, stone and wood. Due to Himachal’s location in the Himalayas and proximity to Punjab, traditional Himachali cuisine is a fusion of Punjabi and Tibetan concoctions. The cold climate makes heat and energy giving food important in the diet, so meat is widely eaten but you will also find delicious vegetarian food. Milk products and a vast array of teas are a part of the Himachali diet. In curries and vegetable dishes, etc., the healthy and flavourful mustard oil is the norm. Sidu, a soft bread served with generous dollops of ghee (clarified butter) and spiced with sesame chutney is made with fermented dough, meat, dry fruits or lentils, roasted over a slow fire to a golden brown and then steamed. A soup called Kheru is a popular accompaniment to rice. It is made with spiced buttermilk. Another soup is Mahni, prepared with raw mangoes and Khatta which uses dry mango powder, besan (gram flour) and is spiced with turmeric, coriander powder and chilli powder. Little fried balls of besan (boondi) are added to it. Some non-vegetarian dishes celebrated in this region are Grilled Kulu Trout, Anardana Chicken and even a dish made with lamb intestines. The popular Chaa meat is boneless mutton cooked in whey. If you get an opportunity to attend a festive occasion like a wedding or a religious event, don’t pass it up. You will be treated to the famous Dham, an elaborate three-course meal prepared exclusively by the Botis (Brahmin chefs). The dishes cooked in copper utensils are served on leaves. Most restaurants in Shimla which offer international, Continental, Chinese, Tibetan and Indian cuisine, don’t have traditional Himachali food on the menu. 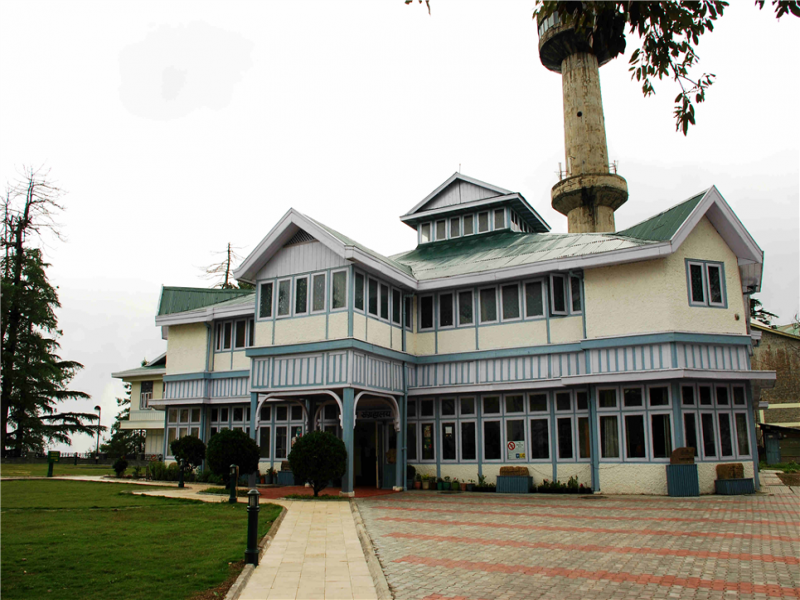 For the real taste of Himachal, head to the Holiday Home hotel managed by Himachal Pradesh Tourism. Visitors move around the city via buses and taxis. The auto rickshaw is hardly seen due to the hilly terrain. The inhabitants of Shimla mainly travel within the city on foot and walking is certainly a good idea in this beautiful place. Private vehicles are not allowed on the Mall, the Ridge and the markets around these areas. An adventurous mode of travel in Shimla is a rented horse. You can avoid the steep climb to the Mall from the bus station on Cart Road by taking the lift run by the city corporation. The lift is near Combermere Hotel. 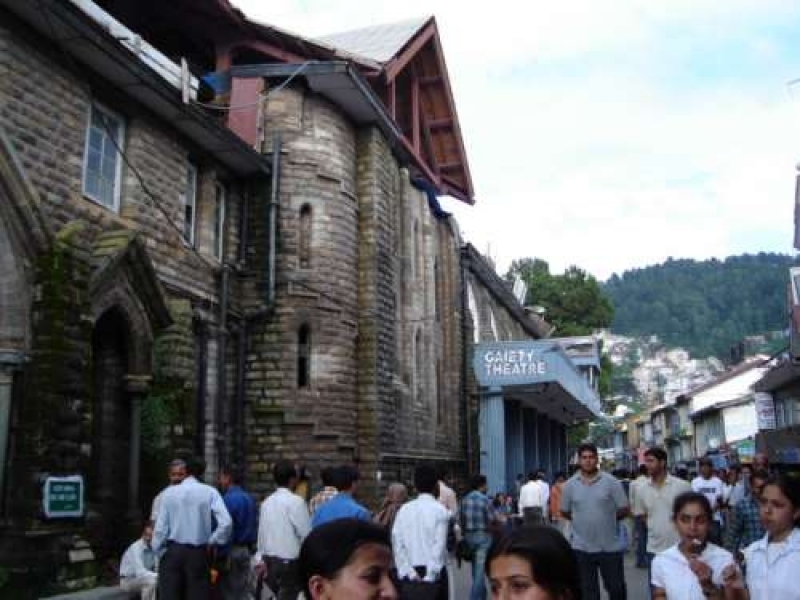 The Mall road lined with shops is the main shopping centre in Shimla city. The Himachal Emporium has the widest range of affordable handicrafts. Look for Thapada and Kohana embroidery in traditional Himachali garments and shawls. Items such as rugs, carpets, paintings and blankets are also worth checking out. For those who love clothes, the tweeds, jackets, coats, colourful woollen caps, sweaters, hand-knit socks and gloves of Shimla are worthy additions to their wardrobe. The gorgeous traditional and Tibetan silver and bead jewellery and handmade Chinese shoes of Shimla make great accessories. If you are looking for the experience of a bustling, colourful and chaotic local market where you can find bargains, try the Lower Bazaar below the Mall. The bazaar is also known as ‘Sabzi Mundi’ due to the vegetables stalls. Here you can buy silver jewellery according to its weight or a little more. For a taste of locally made sweets, head to the narrow Middle Bazaar. 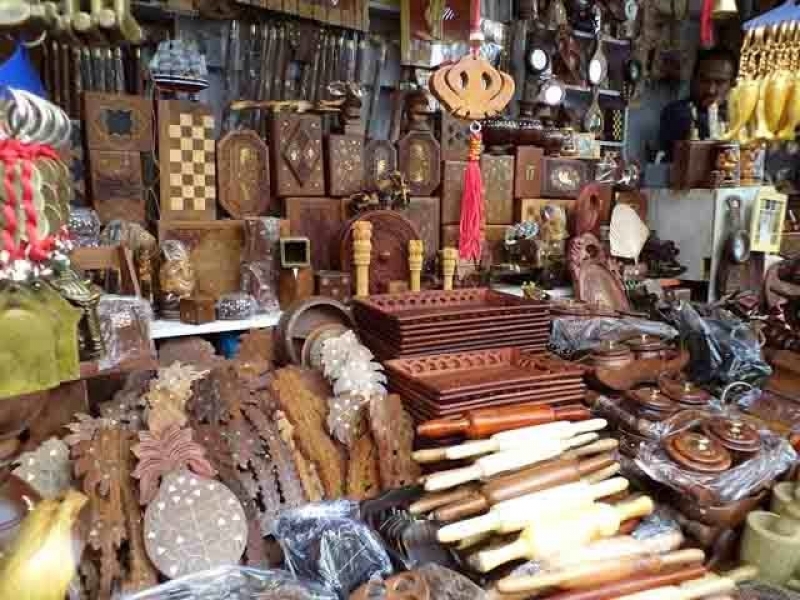 Thanks to the wealth of forests in Shimla, the Lakkar Bazaar (Wood Bazaar) near the Ridge offers the cheapest souvenirs. You’ll find beautiful walking sticks, toys, candle sticks, key chains and even kitchen utensils and spoons made from wood. Walking sticks are not just for the infirm. They are a big help for trekkers and explorers in the densely forested, hilly terrain of the region. The Tibetan Market sells cheap imported clothes, accessories and electronic goods. Himachal’s fruit such as apples and fruit preserves are well known and make wonderful gifts. While the club scene in this hilly city is almost non-existent, there are some delightful options for those seeking to make their nights enjoyable. Shimla has three old cinema halls with limited seating for movie buffs. The modern multiplex Ritz on the Ridge behind Christ Church is your best bet. The cinema which focuses on Bollywood movies, hosts Hollywood hits occasionally. There’s also the Rivoli Theatre in Lakkar Bazaar near the ice skating rink and the Shahi Theatre near the bus stand. Apparently, the Ritz complex also houses Footloose Disco, the only nightclub in Shimla. The disco is generally open till late during the weekend, so when planning a holiday consider landing in the city on a Saturday. Another good option is the Devico’s bar located below Cafe Coffee Day, ideal for those looking for a peaceful evening. You can expect a calm time in a casual ambience with some beer or cocktails. About one minute walk from Christ Church area is ‘Rendevous’, a restaurant/bar with a pleasing atmosphere. Shimla has hotels for all budgets. You’ll find decent budget hotels on the Ridge, near the GPO, on the Mall and at Scandal Point. There are also affordable homestays in and around Shimla. It’s advisable to book ahead, especially during the high season in December with Christmas and New Year round the corner. Mid- range hotels can be found near the High Court on the Mall, the Vidhan Soudha and the RTO Office in Shimla. At the higher end of the price spectrum, there’s the beautiful Landmark Hotel right on the Mall, with wonderful views of the hills. The Radisson Hotel in Lower Bharari, Shimla has an open deck terrace for panoramic views of the mountains and valleys. 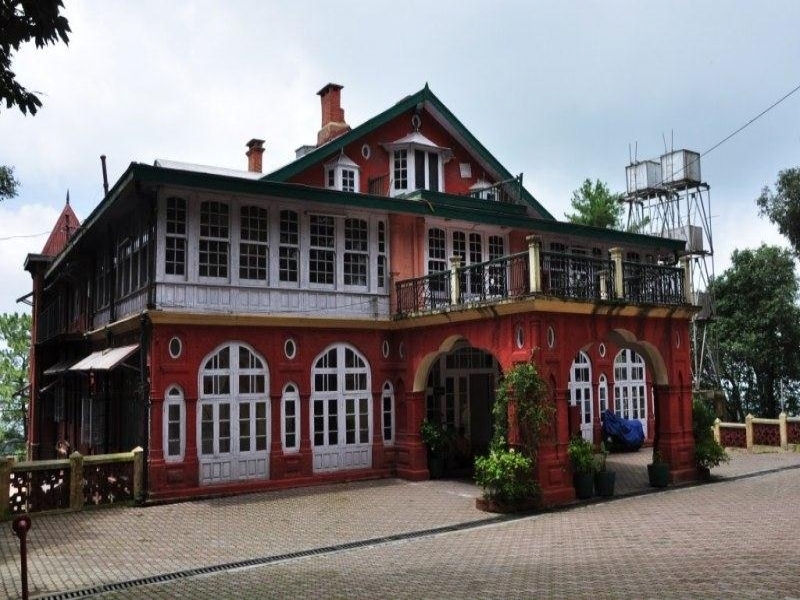 Perhaps the most popular of the luxury hotels in Shimla is Wildflower Hall in Mashobra, on the outskirts of Shimla. 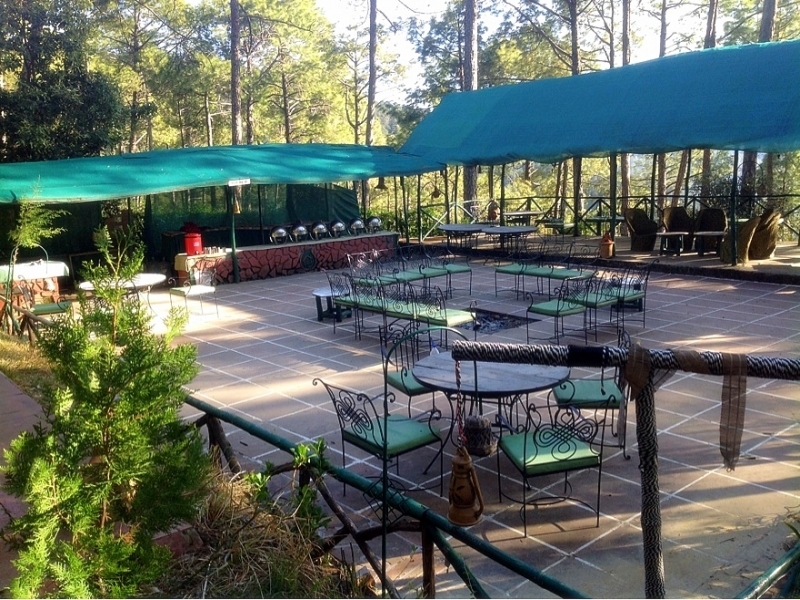 This luxurious hotel among the cedar trees is about 30 minutes by road from Shimla, complete with a heated indoor pool, outdoor jacuzzi and great service. While Shimla is a great place for skiing and tobogganing, there are other exciting things to do in this scenic holiday destination. Trekking is a joy in Shimla. You can choose the intensity and length of the trek, as well as the region, but whatever route you choose, you’ll always find rest houses and food on the way. 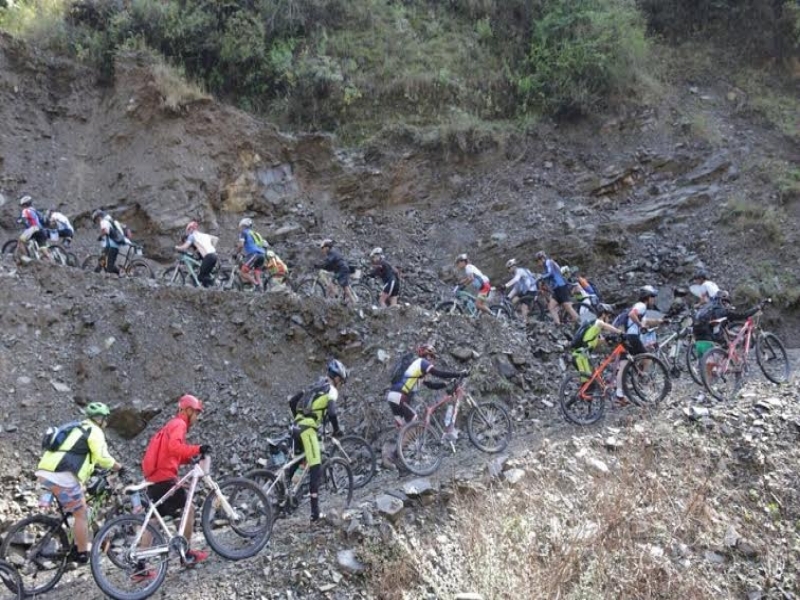 The popular routes cover places like Narkanda , Jalori Pass, Khadrala, Hattu Peak, Rampur, Halau and Chakrata . Another exciting thing to do here is some mountain climbing. Shimla is known as “the mountaineer’s paradise” due to its location in the Himalayas. Nag Tibba peak is the closest to Shimla at 119 km. Paragliding or hang gliding in the lovely Kangra Valley is popular in Shimla with its undulating green terrain. Another enjoyable activity in Shimla is the 5-6 hour ride on the toy train from Kalka to Shimla. You’ll chug by picture postcard railway stations, dense forests of pine, oak and deodar and cut through more than a 100 tunnels. Do not carry foodstuff in a visible way if you’re at the Indian Coffee House on the Mall, or planning to go to the Sankatmochan Temple in the Jakhu Hills in Shimla. These places are crawling with monkeys. Do not grin at the monkeys which are actually all over Shimla and pretty aggressive too. Showing teeth is taken as a sign of aggression by these animals. Do not wear high heeled shoes in Shimla. The city is built on seven hills and there’s a lot of walking to do in all sorts of terrain. Do not give up on the toy train ride just because you don’t have the time. 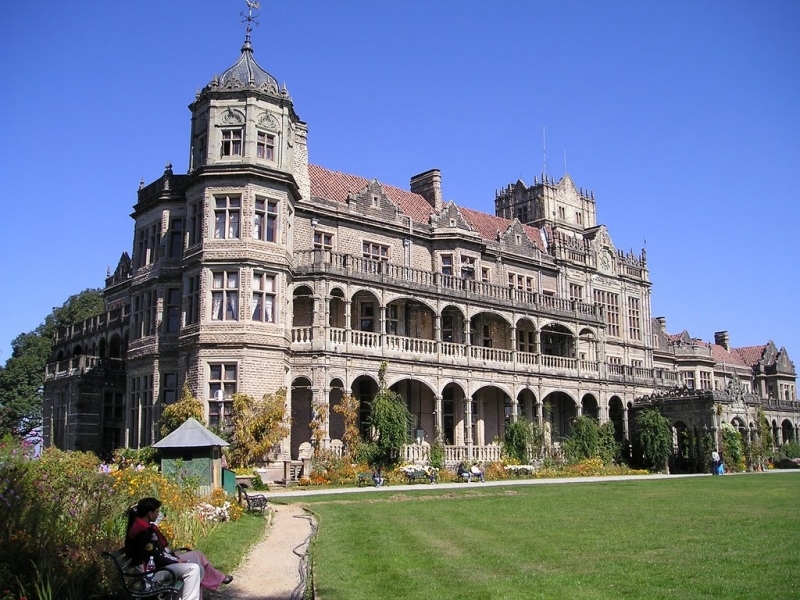 Opt for the two-hour trip from Shimla to Kandaghat. From there, you can get a taxi back to Shimla and the ride is less than an hour. Do hire a good tourist guide to show you around Shimla and tell you interesting stories about the place as well as its history. Ask your hotel or a travel agency to recommend one and decide on the fee beforehand. For summer weather, cotton clothes are fine, but do carry some light woollen garments for the evenings. In winter, heavy woollens are a must. Restaurants are open until 11:00 pm. Shops are closed on Sundays. Working hours are 10:00 am to 5:00 pm. Unless displayed, ask for a fare chart from auto rickshaws and taxis.